This glove with adjustable wrist strap is perfect for all your gardening tasks. The 4 way spandex provides comfort while palm and knuckle padding provides protection. This fashionable glove is tailored to a woman's hand for a better fit and functionality. 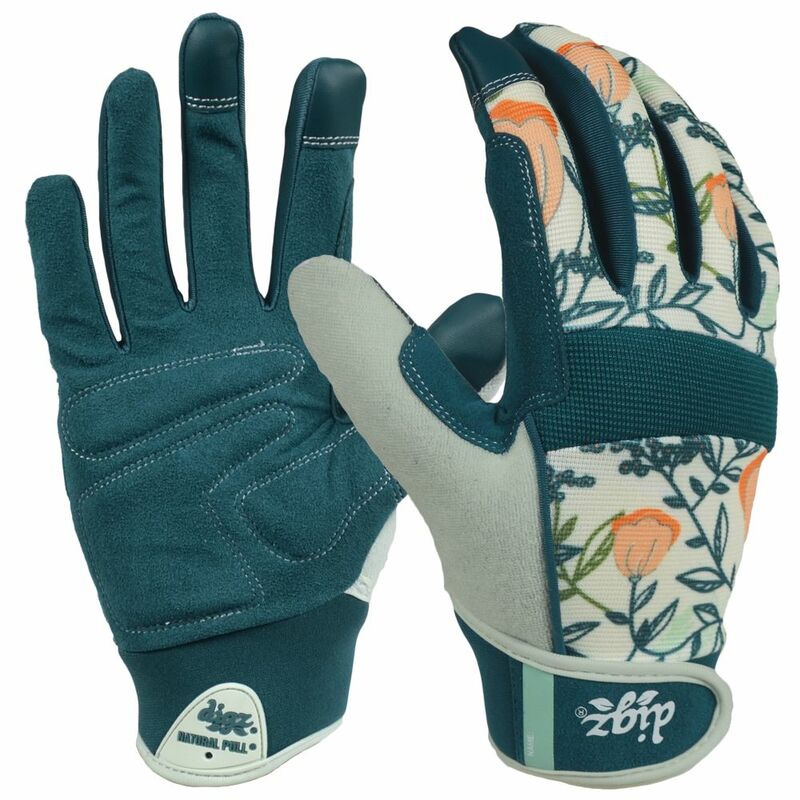 These stylish Digz Women's Gloves are a great choice for working outside in the garden or around the house. Non-slip grip and water-resistant Nitrile-coated gloves are lightweight but durable. These gloves are also versatile and economical. Holmes Mechanics Work Gloves Black synthetic leather palm with non-slippery PVC palm patch and fingertips. Black nylon spandex back with plastic badge on glove's back, fingers, and knuckles. Neoprene cuff with Velcro adjuster on back. A puller loop added on palm side of cuff. Black terry cloth thumb back. IPhone touch material on thumb and index. Gardener - Women's L This glove with adjustable wrist strap is perfect for all your gardening tasks. The 4 way spandex provides comfort while palm and knuckle padding provides protection. This fashionable glove is tailored to a woman's hand for a better fit and functionality.